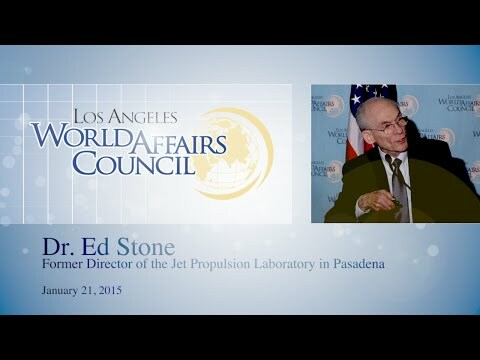 1/21/15 Former JPL Director Dr Ed Stone talks to the Los Angeles World Affairs Council about the Voyager spacecrafts’ discoveries of volcanoes, oceans and geysers on other planets. 11/18/13 Elon Musk tells the Los Angeles World Affairs Council how humans could get to Mars, and live there under a transparent dome. 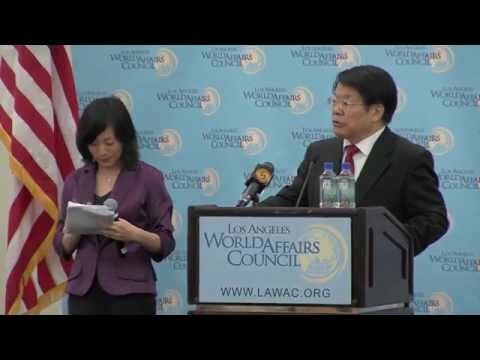 Chinese Minister of Culture Cai Wu addressing the Los Angeles World Affairs Council on July 2, 2014. 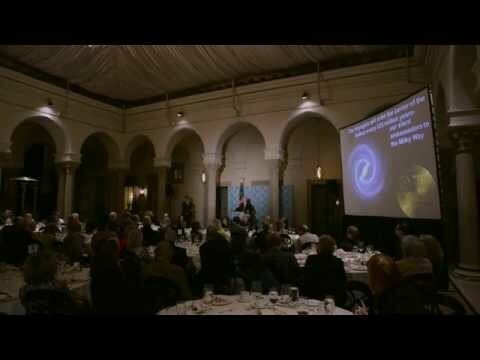 Dr. Ed Stone, Former Director of Jet Propulsion Laboratory (JPL) Project Scientist on Voyager, addressed members of the Los Angeles World Affairs Council over dinner at The Athenaeum at CalTech. 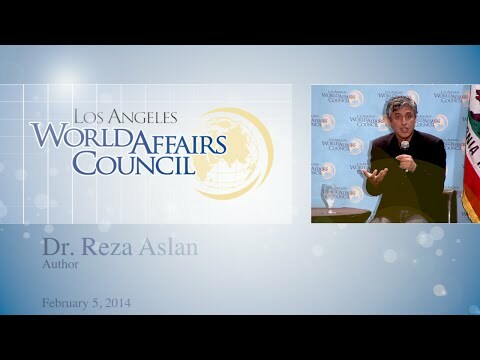 2/5/2014 Author Reza Aslan talks to the Los Angeles World Affairs Council about why the gospels were not written to be factual, but were “constructed stories” to reveal deeper truths about Jesus. Q & A with Zaza Urushadze and Ivo Felt on Estonia's Oscar Nominee "Tangerines"
Following our screening of Tangerines, we were joined by Director Zaza Urushadze and Producer Ivo Felt for a Q & A, moderated by Los Angeles World Affairs Council President Terry McCarthy. 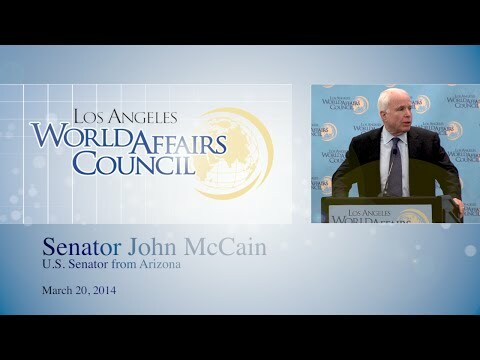 This screening was part of the Los Angeles World Affairs Council Award-Season Foreign Film series. 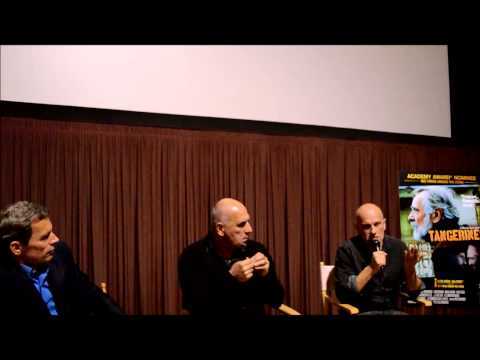 The LA World Affairs Council screened the remarkable Oscar-nominated documentary Virunga on Thursday, Jan. 22nd. Council President Terry McCarthy asks Director Orlando von Einsiedel "Explicit threats were made to the rangers . 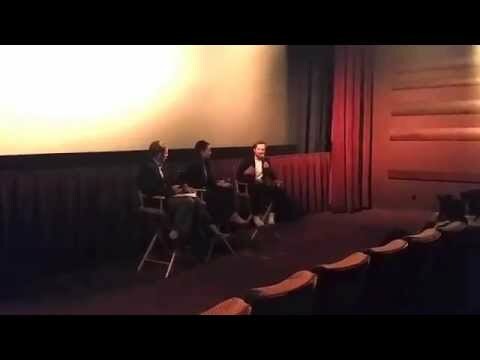 . . were you scared about becoming involved [in the dispute between oil company SOCO and the national park], using covert footage?" 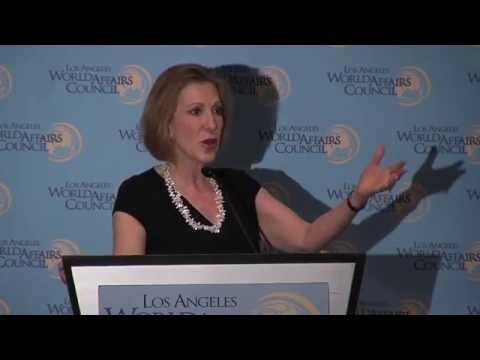 Carly Fiorina addresses the Los Angeles World Affairs Council, talking about her own political plans, her observations about other presidential hopefuls in the Republican and Democratic parties, and how she thinks her experience in the corporate world could translate into government. 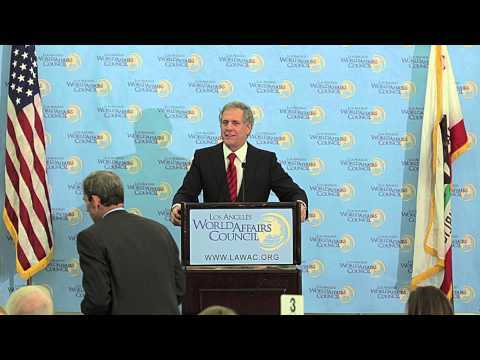 Leslie Moonves, President and CEO of CBS Corporation, addressing the Los Angeles World Affairs Council on American and Global Entertainment. Event date: November 19, 2014.